​Baltic Sea Coast | This is how you spend a proper holiday home vacation at the coast; nothing is more stylish and cosier than a holiday home with a thatched roof. "During breakfast we could always look across the Baltic Sea. Really nice!" German Baltic Sea coast | The beach walks can begin here, from right outside the front door – as these holiday homes and apartments are located 100 metres from the sea, at most. View from an apartment for four people in Sipplingen. Lake Constance | Whether it’s a romantic holiday for two or an enjoyable family holiday – you’ll have a direct view of Lake Constance from these holiday homes and apartments. Heritage-protected manor house for 14 people near Berlin. ​Germany | With a castle or a former manor you can reside in a grand manner whilst on your vacation. Now you are just lacking the necessary staff. Appartement pour quatre personnes situé près de Bad Ripoldsau. ​Black Forest | This is how you will have an authentic vacation in the Black Forest. Nothing is more suitable than a holiday house built in regional typical style. Floating home for 2 people in Lusatia. ​Germany | Whether houseboats, stilt houses, floating homes or entire ships. Here you will find everything that somehow floats on water. Just consider beforehand whether you are also seaworthy to some degree. Germany | Whether it’s at the sea or at one of the many inland bodies of water – everyone will find the right fishing spot in Germany. And we have the right accommodation for it. Holiday home for four people in Viechtacher Land. ​Bavaria | The hikes begin just outside the front door. Spend your holiday completely authentic in a wooden house on top of the Alpine pasture. 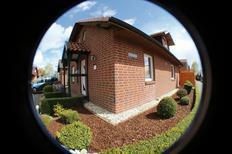 A holiday house in Germany costs on average USD 633 in the cheap travel period and USD 848 in the peak season per week. These details are of course in relation to the house and not per person as well as includes the obligatory additional charges. The starting signal for the 2017/2018 ski season has been given! We will show you the most popular ski areas and give tips for finding the right ski lodge. From the top of Münster Cathedral in Freiberg, views of the seemingly endless green of the Black Forest stretch out beyond the old city. In Berlin, historic landmarks tell stories of the changes through the 20th century, while at night, every kind of music imaginable is played in its vast array of clubs. The huge diversity in this Western European country make holiday apartments in Germany ideal for any type of traveller, whether you’re looking for natural beauty, culture or adventure. Germany’s history, contribution to music, the visual arts and science, sprawling beauty and many large cities to explore mean it can be enjoyed as a family, with groups of friends or on romantic getaways. Berlin is well known for its artistic heritage, celebrated at magnificent longstanding museums such as the Kulturforum and Deutsches Historisches Museum, and through the innovative street art in East Berlin. The Reichstag, the seat of political power in the country, features a glass dome offering a great view of the city. In the Bavarian city of Munich, the royal avenues are a testament to Germany’s architectural brilliance, with Ludwigstrasse’s Renaissance-style buildings and the amazing Nymphenburg Palace. In North Germany, the port city of Hamburg features a historic warehouse district known as the Speicherstadt and the International Maritime Museum. These are just some of Germany’s great visitor hotspots. 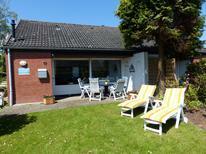 Why book a holiday home in Germany? For travellers who appreciate independence and being able to adapt accommodations to their specific needs, a holiday apartment in Germany, or perhaps a larger home for big groups and families, is ideal. Self-catering by shopping in Germany’s markets and supermarkets, perhaps picking up a bottle of Riesling wine, lets you make the most of your holiday with loved ones. Staying in a real German home, maybe in a holiday apartment directly by the Baltic Sea or a holiday apartment in the Alps, will make you feel like a local. Whether you want proximity to nature, to be right at the centre of the biggest cities, or to enjoy views of Germany's waterways and lakes, the choices are vast. Germany holiday homes are excellent choices for families travelling together, letting you make the most of the summer with bike rides through the Black Forest, skiing in the Alps or taking a boat tour across the Baltic Coast. Equally, the opportunities for learning about European history are fantastic in Berlin and the other big cities, with interactive museums such as the DDR Museum, which depicts life as it was in East Germany. If you’d like to bring your dogs along on your German adventure, the countryside retreats available for hire will definitely keep them happy. Self-catering is a great opportunity, both to economise and to sample the local ingredients you’ll find in Germany’s markets and supermarkets. Each region has its own specialities, with hearty dumpling and noodle dishes in Bavaria, fruit bread in Saxony and grilled pork knuckles with sauerkraut in Berlin being some of the more iconic dishes. Heading out for a meal at a Brauhaus, or tavern, is an opportunity to see how each region cooks its food while indulging in a few local beers. 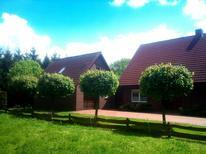 The variety of homes you can stay in on a German holiday is diverse. Thatched cottages on the Baltic Sea coast, trendy East Berlin flats, log cabins in the Upper Palatinate Forest and Alpine lodges in the Bavarian Alps are some of the accommodations you’ll find in this diverse country. There are plenty of unique constructions available for hire, making your holiday apartment in Germany unforgettable. There are so many cities, towns, countryside retreats and islands to explore in Germany that the only difficulty can be pinning down which place to visit on holiday. Bavaria, in the south, is one of the most popular destinations, with Munich, beautiful forests and world-famous landmarks such as the hilltop Neuschwanstein Castle. The Black Forest is famous for its cakes, but also the adventures you can have hiking, mountain biking or even paragliding. The huge Eifel region is home to ancient cities such as Mainz, with Roman history and the Gutenberg Museum, which commemorates the inventor of the printing press. From London, it’s about an hour and 45 minutes to fly to Berlin. If you would rather go to Bavaria's capital, the flight to Munich takes just under two hours. The country’s other major air hubs are Frankfurt, Düsseldorf, Hamburg and Stuttgart. A train or car journey through Germany will take longer, but you will have front row seats to experience this historcally and culturally rich country. When is the best time to book holiday apartments in Germany? As Germany is such a huge country, the weather varies from region to region. That said, major destinations such as Berlin, Munich and Hamburg share similar climates, with temperatures in the mid-to-high 20s in the summer and hanging close to freezing, but rarely far below, in January. Germany is perhaps one of the best places in the world for Christmas markets, and Munich, Berlin and Cologne are particularly famous for theirs, so winter holidays are well worth the trip. For enjoying nature, whether in the great forests or by touring the Baltic Coast by boat, the warmer months may be preferable. The local currency is the euro. Although German is the official language, English teaching is of an extremely high standard and most staff at shops and restaurants speak it well, especially in the cities. Germans love their pets, and taking your dog with you is often possible. Finally, Germany is part of the EU, so you won’t need a visa if you're an EU citizen.